Young Hero Sumanth Ashwin whose previous outing ‘Happy Wedding’ ended up as a disaster at the box office is now going to test his luck with his upcoming movie ‘Prema Katha Chitram 2’. Touted to be a horror comedy, the title itself is suggesting that the movie is going to be the sequel of super hit film ‘Prema Katha Chitram’. Hari Kishan helmed this project. Nandita ha Swetha of ‘Ekkadiki Pothavu Chinnavada’ Fame and Siddhi Idnani of ‘Jamba Lakadi Pamba’ fame played the leading ladies in the movie. R Sudarshan Reddy bankrolled this project. After grabbing the attention with the trailer of the movie, the film has finally had the screens today on April 6, 2019. Here is the review of the movie. 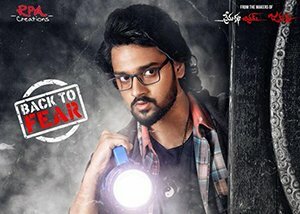 Sudheer (Sumanth Ashwin) is a college going student. Bindu (Siddhi Idnani) loves Sumanth a lot but he ignores it and falls for Nandu (Nanditha Swetha). Siddhi who could not take it ends up committing suicide. But, her spirit turns into an evil and starts troubling Sudheer’s life and everyone around him. What happened then? Why did Bindu kill herself? What happens in the end? Forms the story of the movie. Sumanth Ashwin is perfect for the role. He has not only delivered an energetic performance, but also has improved a lot when it comes to dialogue delivery. Especially, in the horror scenes, his performance is commendable. Nandita Swetha got a really challenging role in the film but the actress who never fails to grab the attention delivered a stunning performance in this movie as well. Siddhi Idnani is a perfect pick for her role and she not only added glamour to the film but also added more strength. Vidyullekha delivered her best in the role. Krishna Teju is good. NTV Sai did justice to his role. The rest of the cast also made their presence felt. Director Hari Kishan has prepared a regular story and laced it up with comedy and also gave a horror touch. Though there are some comedy scenes which will make the audience laugh, the horror scenes are not that scary. It would have been good if the director focused more on the screenplay of the film as well as the horror elements. Production values by R Sudarshan Reddy are good. Considering the fact that the movie is small budget movie, producers have invested decent amounts for the film without compromising in terms of quality. Music by Jeevan Babu is really good. Though there are no hum-worthy songs in the film, his BGM suited well for the film. Cinematography by C Ram Prasad is decent. His camera angles are really appreciable. Editing by SB Uddhav is just average. The movie starts off in a decent way. The first half is somewhat better. The second half is boring with so many unnecessary scenes. The climax of the film is handled well which is one of the plus points. The last ten minutes of the film is also good though the entire second half is very bad. There are so many drawbacks in the film. Some names and some references from ‘Prema Katha Chitram’ are taken but failed to grab the attention. On the whole, ‘Prema Katha Chitram 2’ is the worst horror comedy which is unbearable to watch.